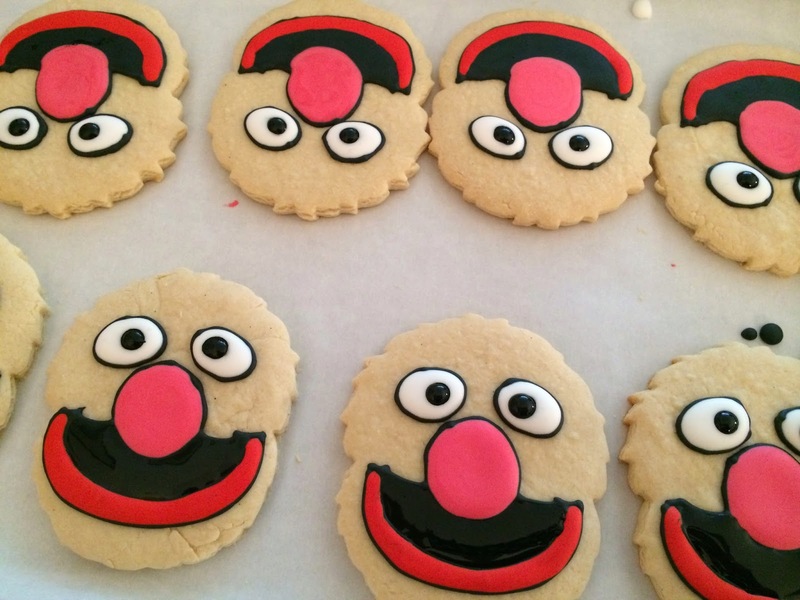 I learned something about cookie decorating while making these cookies for my friend's birthday -- making character cookies is hard work! 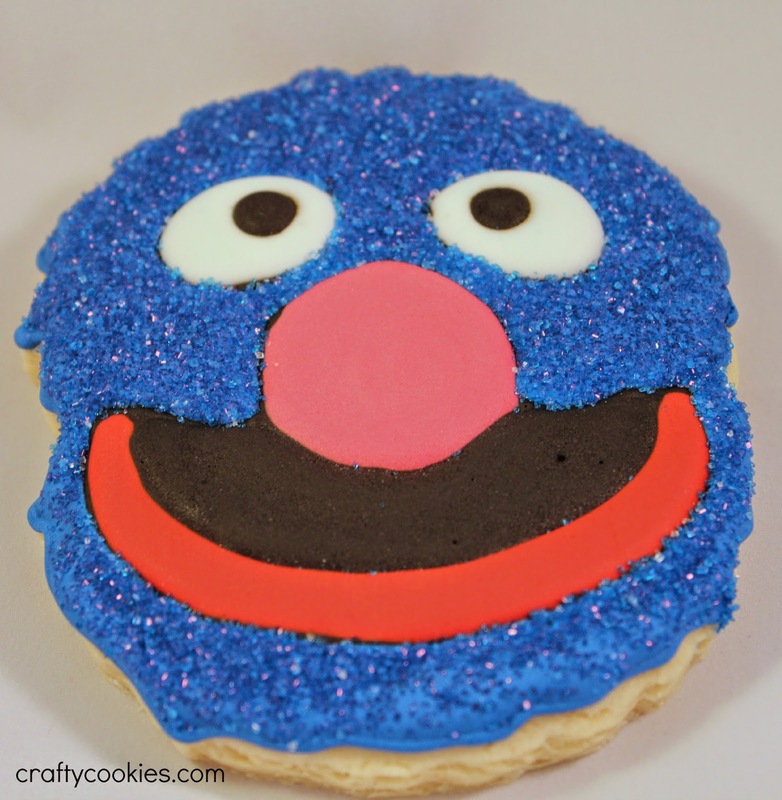 At first glance, Grover appears to be rather simple -- only five icing colors and no crazy small spaces to decorate. But, as I learned, getting all the facial features just right takes skill and a lot of patience. I did the facial features first, letting them dry before adding Grover's blue fur. I did let the pink nose dry before adding the black of his mouth to prevent bleeding. The blue icing and sanding sugar covered up my non-straight lines and gave Grover a bit more definition. I tried to outline the eyes and mouth in black once again after the fur dried, but decided I didn't like the look. My friend said he looked more like Kardashian Grover with the black lining around the eyes. I also tried other blue sprinkles, and while they were okay, they were more difficult to work with than the sanding sugar. 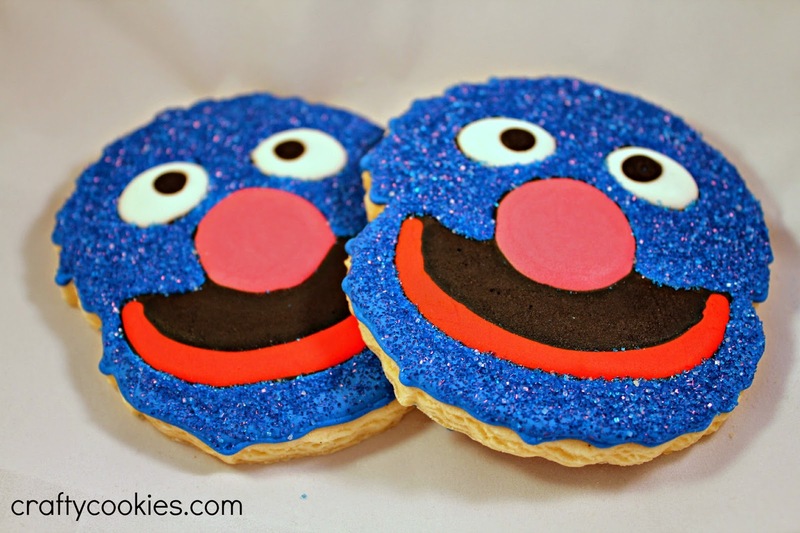 Overall, I'm happy with how these cookies turned out and they were a nice surprise for my friend, who loves Grover. At 85 degrees today, it certainly felt like August with the high humidity. Luckily though, it didn't smell like August in NYC. 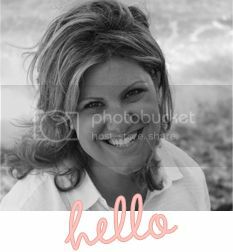 Summer reminds me of vacation, which reminds me of the beach, which reminds me of the tropics, which reminds me of the Hibiscus flower. It's like Six Degrees of Separation for cookie ideas. These cookies were super easy to decorate and I was able to use up some leftover icing colors from earlier projects. 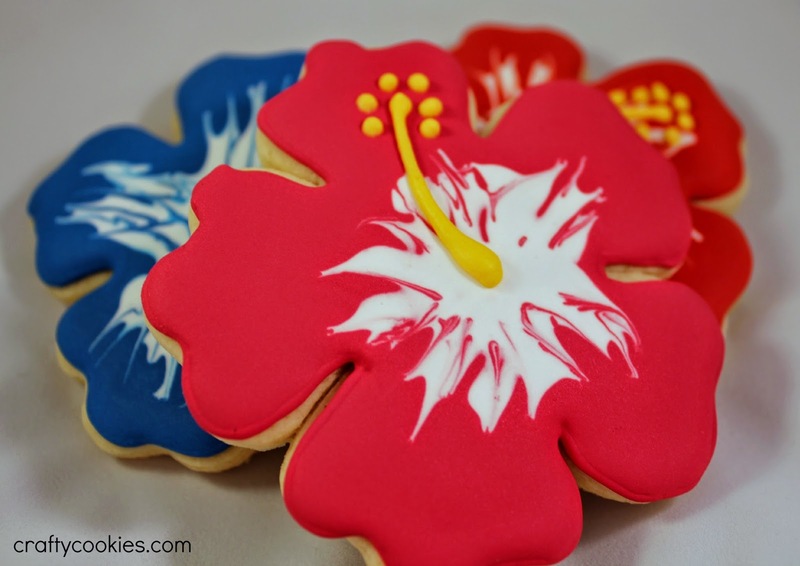 I made a custom Hibiscus cookie cutter on my 3D printer, but you can purchase a standard Hibiscus cutter or use a large shamrock cookie cutter instead. I outlined and flooded the cookies with the desired color, being careful not to over fill. 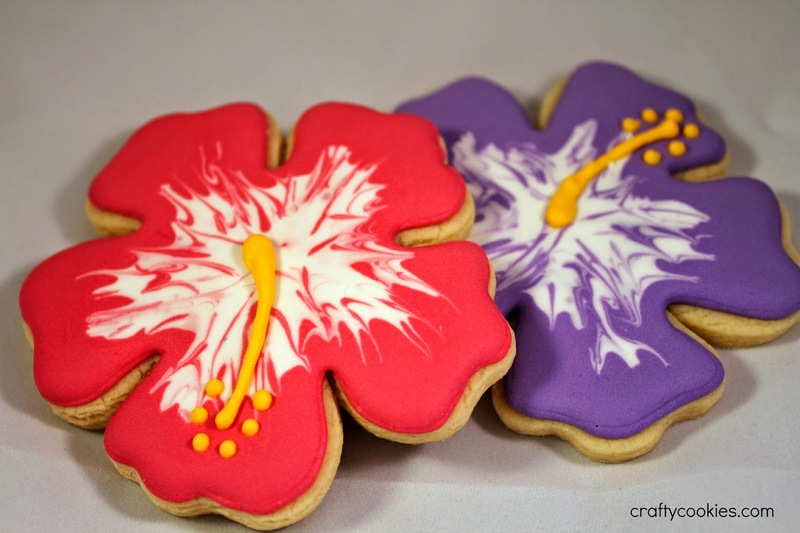 I then added white flood icing in the shape of a starburst to the center of the cookie. 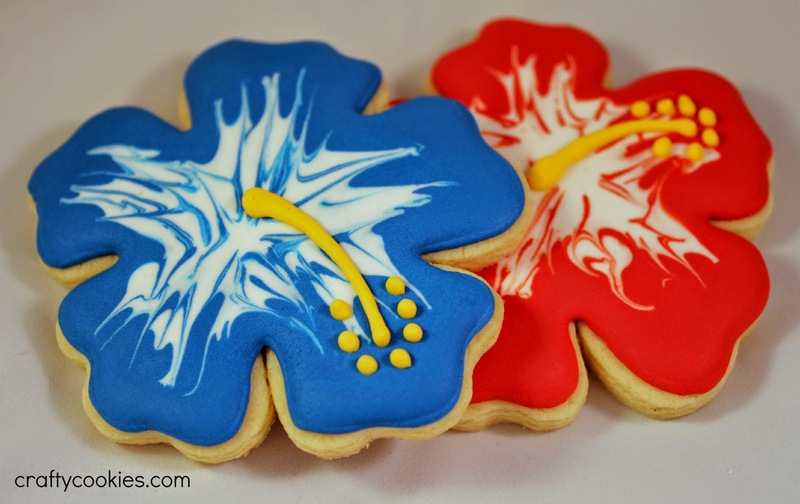 With a toothpick, I dragged the white icing to the edges, creating the detailed petals. Once the base was fully dry, I added a yellow stamen with piping icing. 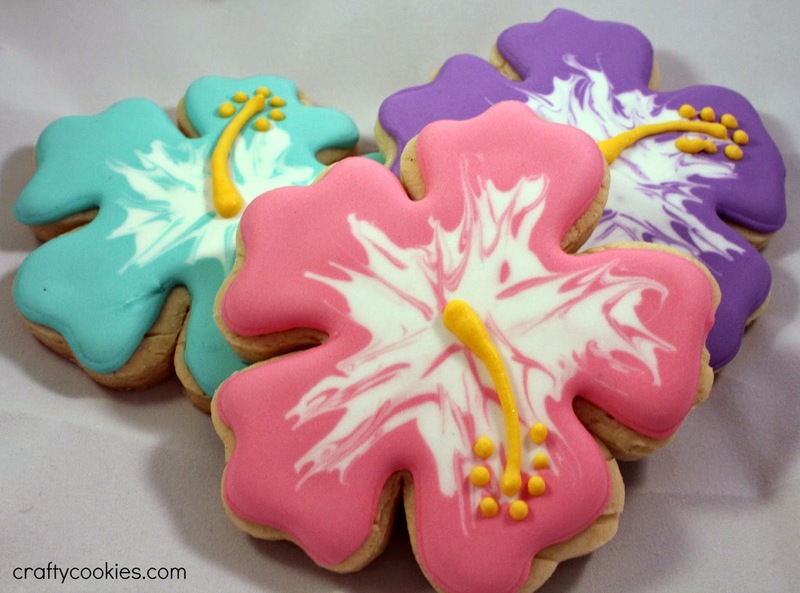 These are some of the easiest cookies I've made in awhile and I love how summery they look. These cookies also gave me a good idea for what to bake for my AP English class's Literary Bake-Off Final Exam.